The cast and crew of "The Tiger Hunter" at CAAMFest 2017 Opening Night on March 9, 2017. Photo by Willy Chen for CAAM. Tanuj Chopra, director of "Chee at Tee," at CAAMFest 2017. Photo by Gabe Chewy for CAAM. Kelly Hu, Robin Lung and Daniel Dae Kim at the "Finding Kukan" screening. Photo by Gabe Chewy for CAAM. "Gook," the CAAMFest 2017 Audience Award Winner for Best Narrative film, at CAAMFest 2017. Photo by Czarina Garcia for CAAM. 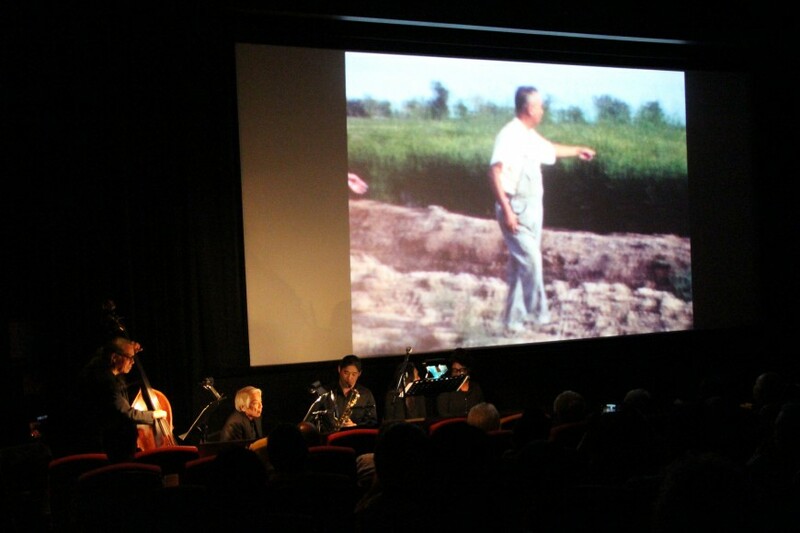 Memories to Light: Asian American Central Valley Home Movies with live accompaniment. Photo by Carmine Bai for CAAM. 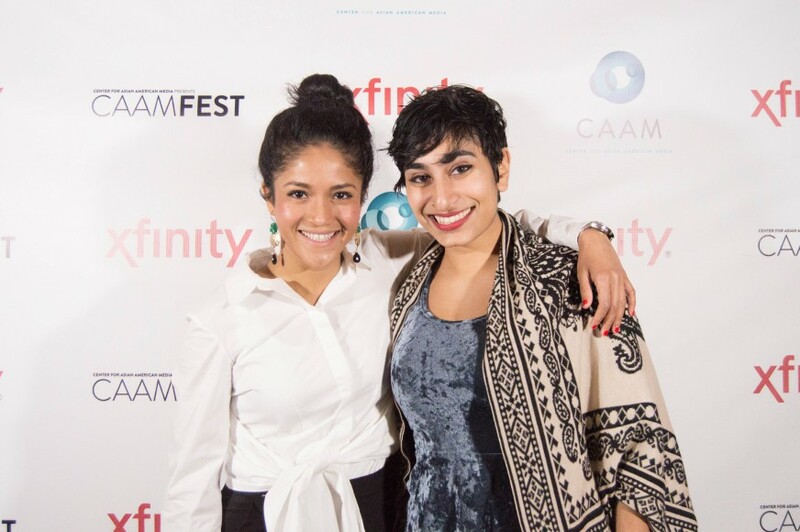 "Brown Girls" writer Fatimah Asghar (Writer) and actress Nabila Hossain at CAAMFest 2017. Photo by Czarina Garcia for CAAM. 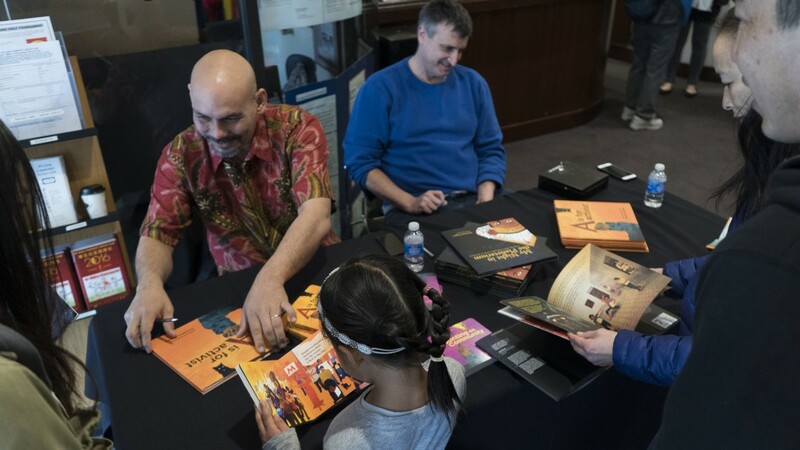 Book signing with Innosanto Nagara ("A is for Activist," "My Night in the Planetarium") at CAAMFest 2017. Photo by Gabe Chewy for CAAM. "Eat Chinatown" at 41 Ross in San Francisco Chinatown. Photo by Alex Zhu for CAAM. DANakaDAN performs at CAAMFest 2017's Directions in Sound music showcase. Photo by Kenni Camota for CAAM. Emiko Omori (center) is a Spotlight Honoree at CAAMFest 2017. Photo by Czarina Garcia for CAAM. 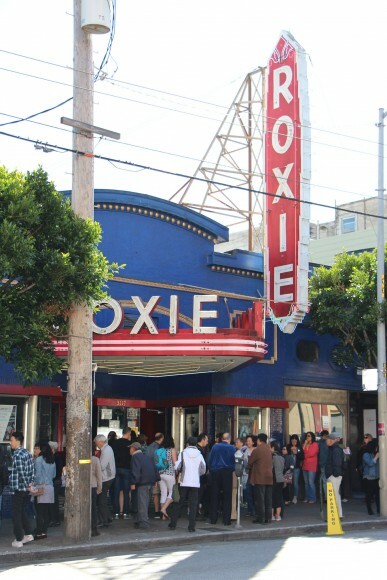 "Resistance at Tule Lake" at the Roxie during CAAMFest 2017. Photo by Carmine Bai for CAAM. 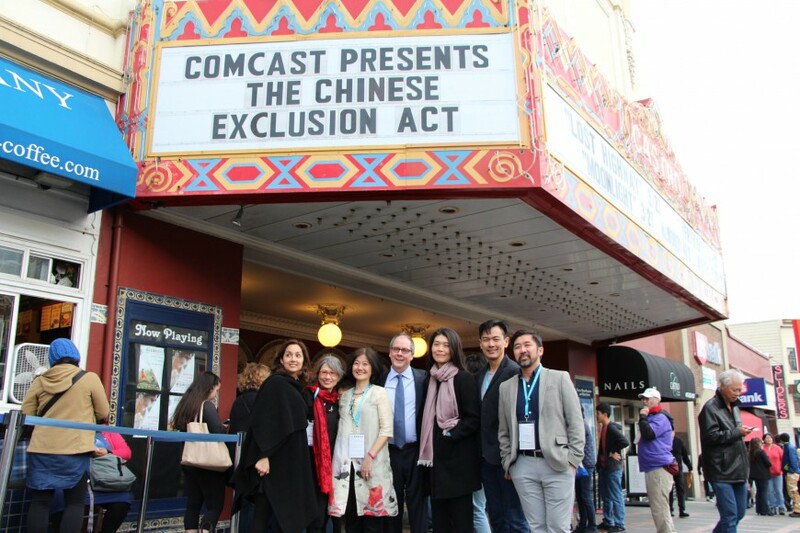 The Closing Night film, "The Chinese Exclusion Act," held its West Coast Premiere at CAAMFest 2017 to a sold out Castro Theatre. Photo by Carmine Bai for CAAM. 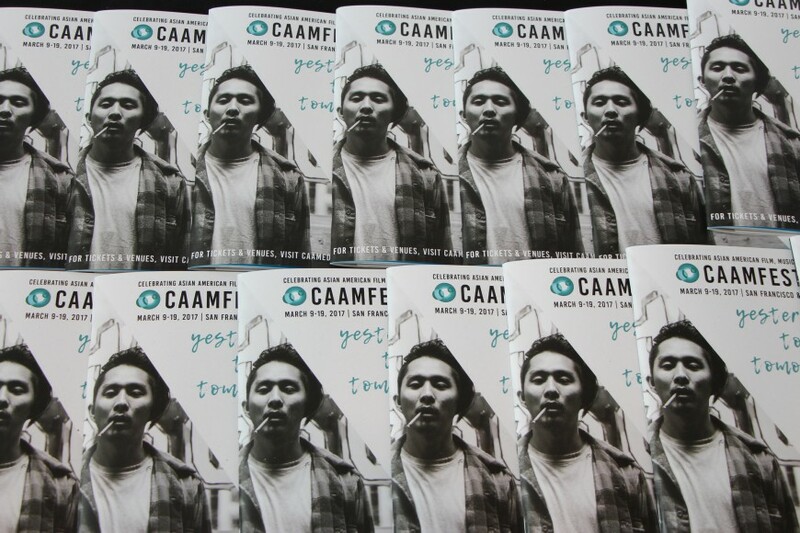 CAAMFest 2017 program guides with Justin Chon in "Gook" on the cover. Photo by Carmine Bai for CAAM. 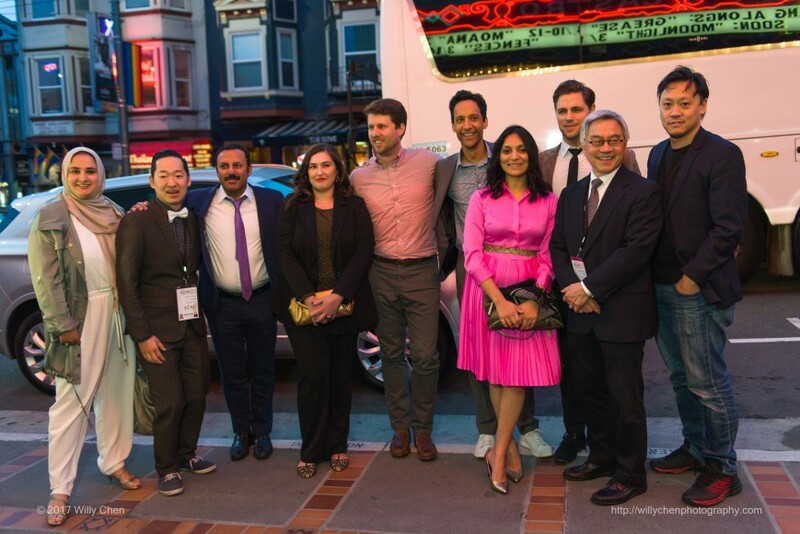 After 11 extraordinary days, the Center for Asian American Media (CAAM) toasts to another successful year of celebrating Asian and Asian American films, food and music at CAAMFest 2017. 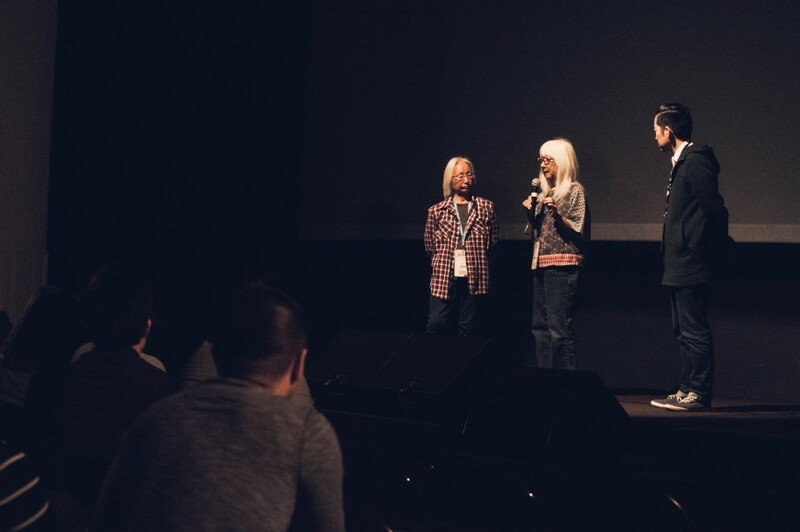 As the nation’s largest festival of its kind, CAAMFest welcomed over 200 filmmakers and guests and showcased over 113 films from 22 different countries, including 22 narrative films, 26 documentaries and 65 short films and videos. CAAM also presented 10 world premieres, 4 North American premieres, 3 US premieres, 14 West Coast premieres, 36 Bay Area premieres and 1 special sneak preview. CAAMFest 2017 welcomed more than 28,000 audience members to celebrate a diverse array of U.S. and international programs. Check out the CAAMFest 2017 award winners! CAAMFEST IS MOVING TO MAY IN 2018! During Closing Night at the Castro Theatre, Executive Director Stephen Gong shared exciting news that CAAMFest will be moving to the month of May in 2018. 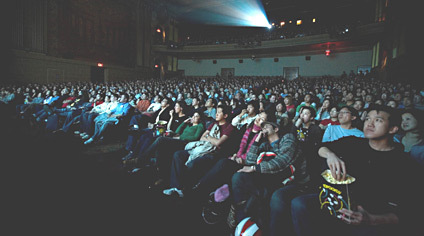 May is Asian Pacific American Heritage Month, “a time in which civic, cultural and corporate entities celebrate Asian American legacies and communities,” Gong announced to a packed Castro Theatre. “We will align our public broadcast work and community engagement efforts with the live celebratory extravaganza that is CAAMFest. 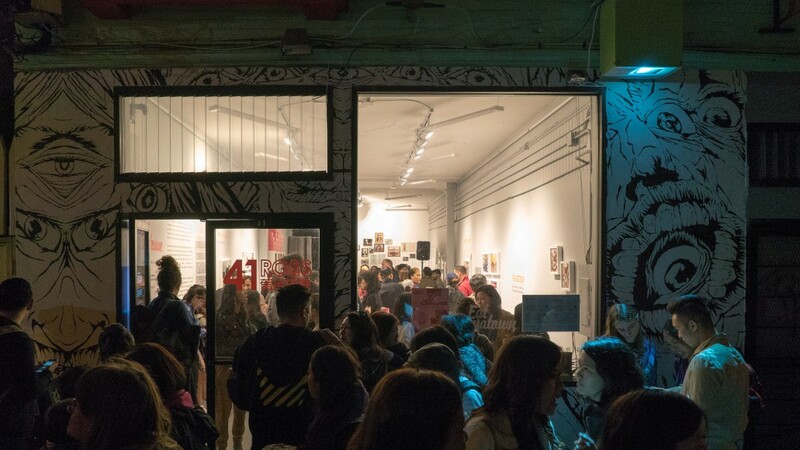 CAAM will increase the reach and impact of Asian American stories nationally, while highlighting the San Francisco Bay Area as the cultural heart and both the national and international destination of Asian America.” Stay tuned for more details. The Center for Asian American Media provides Asian American programming throughout the year. 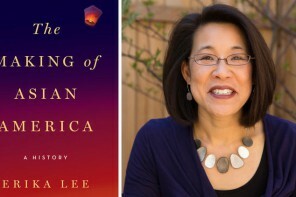 During May, CAAM will celebrate Asian Pacific American Heritage Month, present an encore screening of THE CHINESE EXCLUSION ACT at the main branch of the San Francisco Public Library and will present the CAAM and PIC-funded film, MELE MURALS (CAAMFest 2016), as well as other documentaries, on PBS during the month of May. Stay tuned for more information. 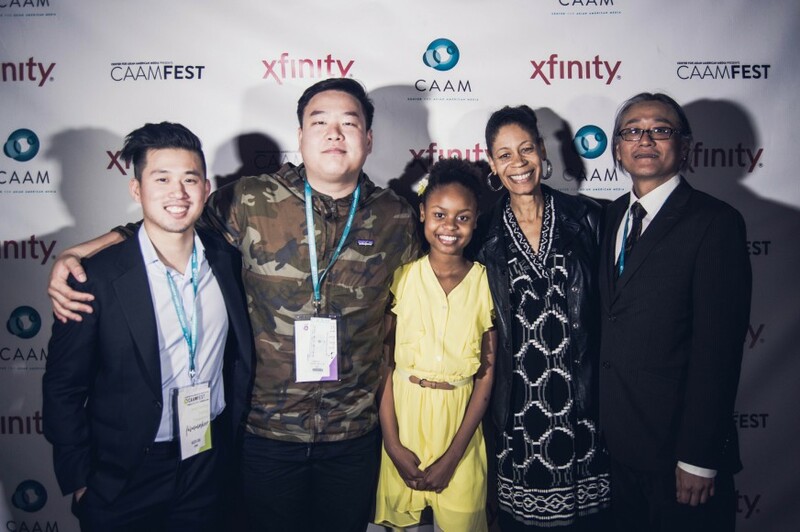 CAAMFest is supported in part by the following: Xfinity, 96.5 KOIT, AARP, Asian Art Museum, AT&T DirecTV, Buick, Cooper White & Cooper LLP, Fitness SF, NBCUniversal, Pacific Islanders in Communications, Remy Martin, San Francisco Symphony, Umpqua Bank, Orchard and Orchard Garden Hotel, Girl Friday Events, SAG‐AFTRA, Berkeley Repertory Theatre, University of San Francisco Masters in Asia Pacific Studies, Asian Studies, Asian Pacific American Studies and the Yuchengco School of Philippine Studies, Academy of Motion Picture Arts & Sciences, California Humanities, Consulate General of Japan in San Francisco, Corporation for Public Broadcasting (CPB), Hong Kong Economic and Trade Office in San Francisco, Japan Foundation, Los Angeles, National Endowment for the Arts, San Francisco Grants for the Arts, Hotel Tax Fund, Wells Fargo Foundation and the William + Flora Hewlett Foundation. 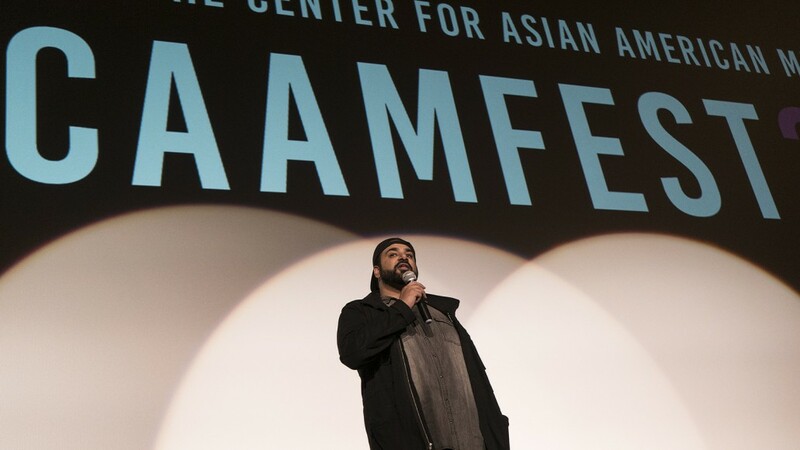 CAAMFest, formerly the San Francisco International Asian American Film Festival (SFIAAFF), celebrated its 35th year, March 9-19, 2017 in the Bay Area. 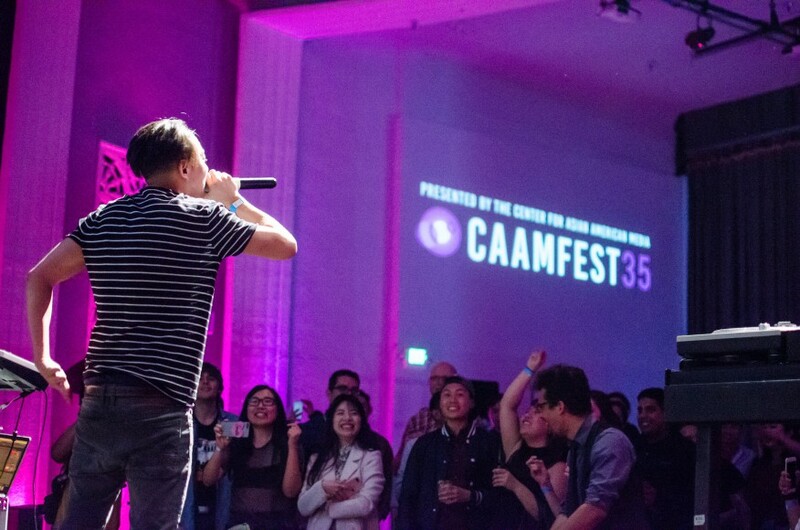 CAAMFest showcases film, music, food and digital media from the world’s most innovative Asian and Asian American artists. CAAM (Center for Asian American Media) is a non-profit organization dedicated to presenting stories that convey the richness and diversity of Asian American experiences to the broadest audience possible. CAAM does this by funding, producing, distributing and exhibiting works in film, television and digital media. For more information on CAAM, please visit www.caamedia.org.